Workers’ compensation is an insurance program that offers benefits to those who have been injured or suffered an illness at work. Every state runs its own workers’ compensation program, and nearly all employers are required by law to provide these benefits to employees. The program can provide vital compensation to those who cannot work or cannot perform the same work after a workplace illness or injury. The benefits cover a wide variety of issues, but the system can be confusing. 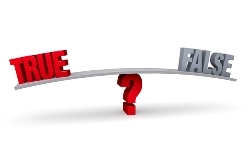 Here is the truth about five common misconceptions about workers’ compensation. You won’t receive benefits if you were at fault for the injury. While this may be true in some extreme cases of extreme negligence or substance abuse, one tenet of workers’ compensation is that it provides benefits regardless of fault. You may still be eligible to receive compensation even if the accident was your fault. You can only file a claim for injuries sustained at the place of employment. Any job-related injury is covered by workers’ compensation. This could include an injury or illness sustained on a business trip, visiting clients at the clients’ site, driving to a work-related function and more. A pre-existing condition will not be covered by workers’ compensation. While the system does not cover that condition initially, you may be entitled to compensation if the injury is aggravated by work-related tasks. Compensation from the system will cover all your lost wages. In Illinois and Missouri, injured or ill workers can receive up to 2/3 of their average weekly wage, up to a state mandated maximum. Depending on the nature of the injury, time limits can be set for payment. If I accept benefits through the workers’ compensation system, I cannot sue my employer for the injury or illness. Typically, this is true. However, there are situations in which the law allows an employee to pursue legal action against an employer. Additionally, some situations involve a third party, who could be open to a lawsuit. A skilled workers’ compensation attorney can help an employee determine if this is an appropriate action. If you’ve suffered injuries or an illness due to a work-related incident, you may be entitled to file a claim. Chat live with a member of the legal team at the Tapella & Eberspacher Law Firm to learn more about your rights and schedule a free, no obligation consultation today.